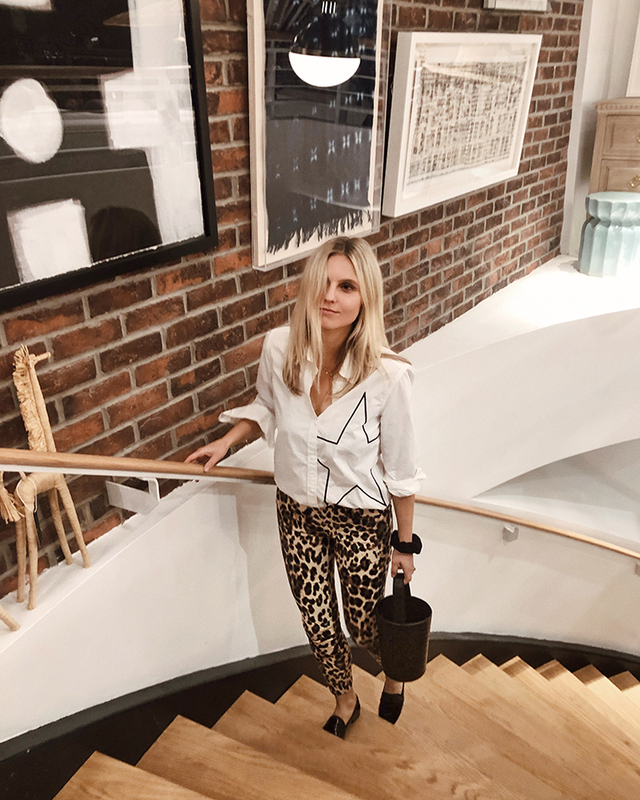 Take the ultimate preppy piece—the white-collared shirt—throw a giant star on it (this one is by Current/Elliott), pair it with skinny leopard print denim, rock some patent leather loafers, and you've got a getup worthy of (a demure) Ziggy Stardust. 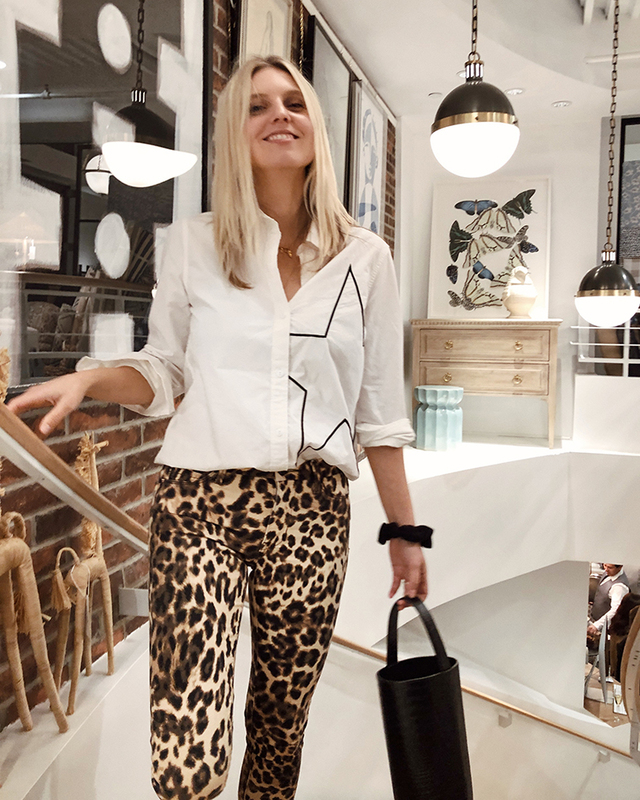 I wore this fun look to One Kings Lane's brand new Soho store opening, which I thought made an apropos chic-yet-casual statement. The great thing about both these separates is that they're super versatile. The white shirt for obvious reasons, and the leopard bottoms because they're autumn's hottest print while also being a great neutral (yes!) that you can actually wear with any color, from muted to loud (really! ), depending on how adventurous you are.